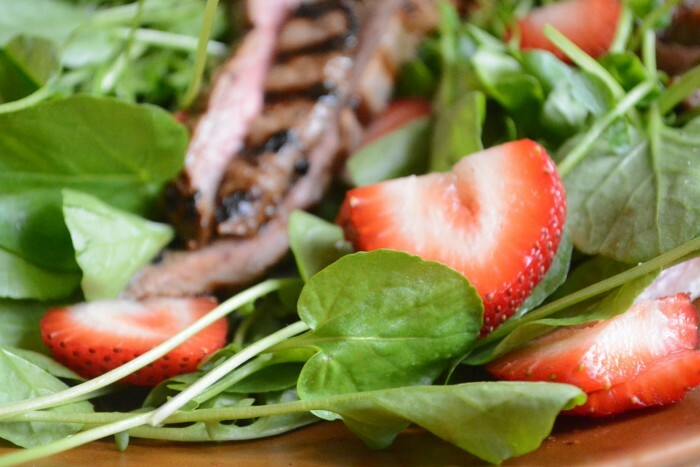 This Strawberry Jalapeño Marinated Flank Steak Salad is a deliciously gorgeous way to welcome warm weather. It’s a main course salad that really packs a punch when it comes to flavor thanks to a marinade that doubles as a vinaigrette! We had this Strawberry Jalapeño Marinated Flank Steak Salad for dinner two nights in a row and I knew I just had to share it with you. The zippiness of the of the fruit and the buttery richness of the meat complement each other perfectly. The marinade flavors and tenderizes the steak, and does double duty as the dressing for the salad. The unexpected combination of strawberries, steak, and jalapeño peppers is wonderful. This is also a satisfying salad that makes a great main course! 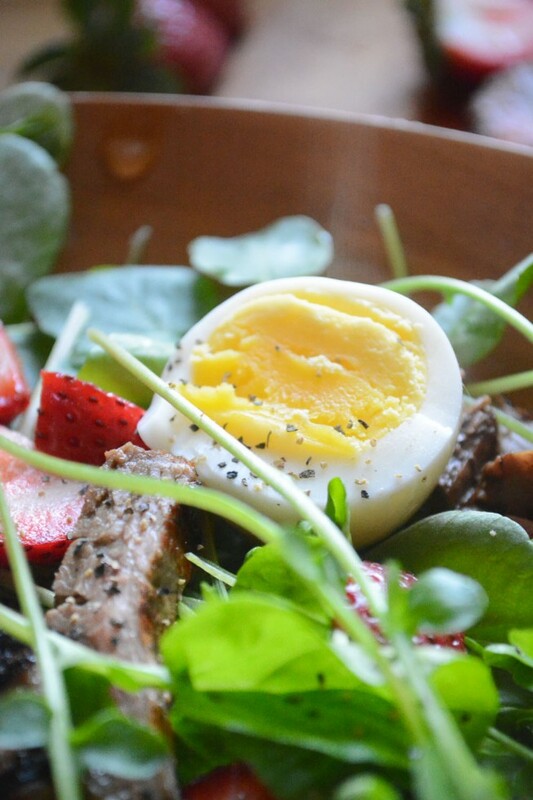 The grilled, sliced steak goes atop a simple salad of watercress, strawberries, and a little thinly sliced red onion, which really gives it a nice savory touch and balances out the sweetness of the berries. I finished the salad with halved soft boiled eggs, still steaming, for an extra boost of protein. The reserved marinade serves as the vinaigrette for the salad, saving time and energy, which I love. The warm steak and eggs play nicely against the crisp greens, and the fiery jalapeño battles it out with the sweetness of the berries in the dressing… delish. Of course you could also use baby spinach or arugula in place of the watercress if you like, really any salad green would work great. I love using a grill pan for recipes like this–they are a great way to get a nice sear and grill marks on food even when it might not be grilling weather. This Strawberry Jalapeño Marinated Flank Steak Salad is a deliciously gorgeous way to welcome warm weather, and really packs a punch when it comes to flavor thanks to a marinade that doubles as a vinaigrette! Put the strawberries in the bowl of a food processor. 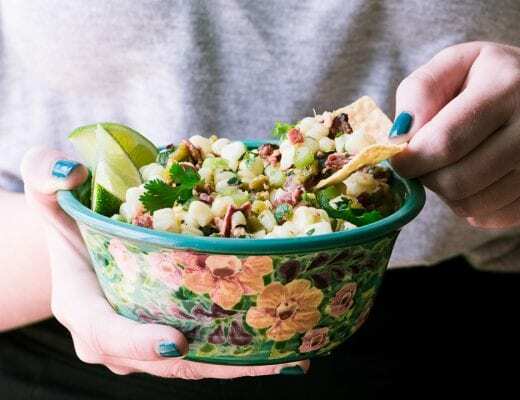 Cut the stems off of the jalapenos and chop them into a few pieces and place it into the bowl as well, seeds and all. Process for about a minute until everything is smooth. Scrape down the sides of the machine a couple of times to get everything smoothly pureed. You should have about 1 cup of puree. 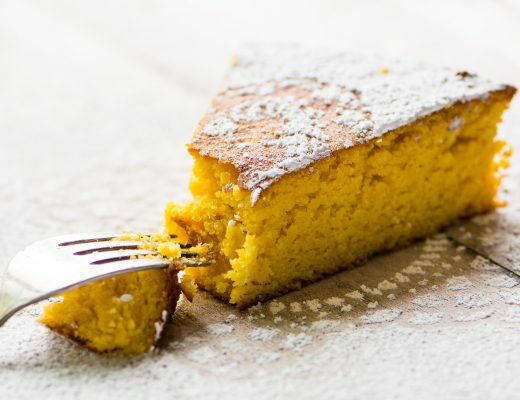 Add the rest of the ingredients and whisk to combine well. Taste the marinade and adjust it if you think it needs more lemon, or more salt, etc. Reserve half the marinade to use for salad dressing. Put the flank steak in a large zip lock baggie and pour in the remaining marinade. Remove any excess air and zip up the bag. Massage to coat the meat well, and then store flat on a plate in the fridge for several hours or overnight. Grill the steak over a hot grill to your desired doneness. Flank steak is thin, and mine only took a few minutes on each side. Let the steak rest for 10 minutes before slicing. Set out 4 dinner sized plates and divide the greens among them. Scatter on the onions and sliced strawberries. Drizzle a little dressing over each. Add the sliced steak and the halved eggs. Drizzle with more dressing and serve while the steak and the eggs are still warm. 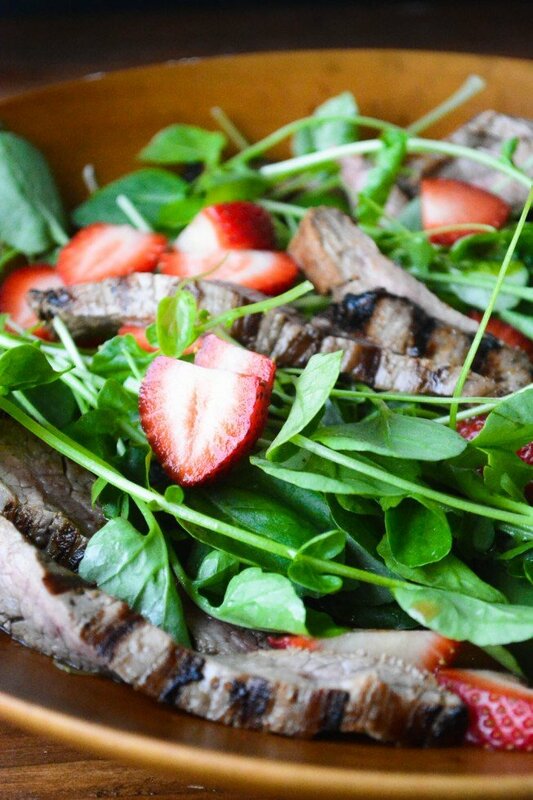 Thanks for pinning this Strawberry Jalapeño Marinated Flank Steak Salad! Sue- I’m such a dope. It was right in front of my eyes!! Thank you for your reply. Trying this tonight! No, you’re not a dope Jeanette, I edited the recipe :) Thanks for your eagle eyes ! 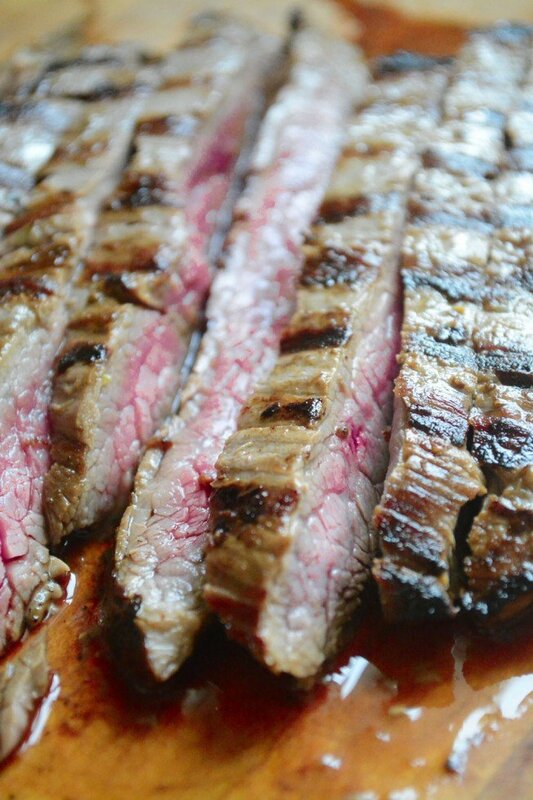 Sue- I’ve re-read this recipe many times.. How much flank steak please? 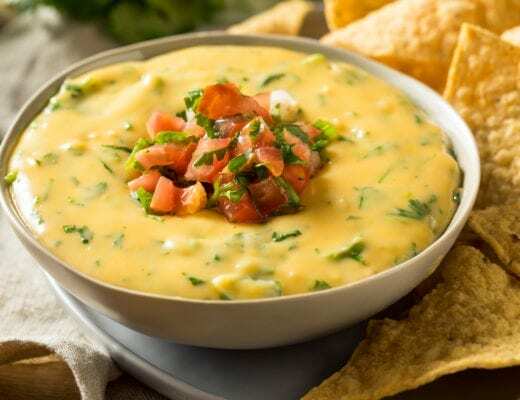 We love anything with jalapeños!! I can’t wait to try this! I have lots of jalapeno recipes on the blog, Kerri! This was SO delicious. We threw in some feta because we had some kicking around and it was a lovely addition. We are definitely making this again! This is beautiful and looks amazingly delicious Sue! 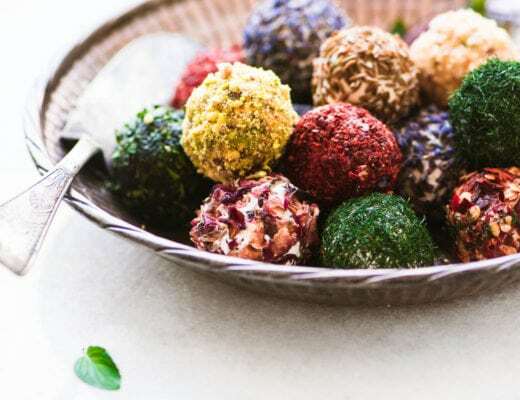 Such a wonderful summer salad, I love the combination of colors, texture and flavors. I have to laugh at you though, only because you’re so much like me. I’m sure I would be making at least two nights in a row, probably more! Hi Sue, flank steak is my favorite kind of steak, I think they have so much flavor, love the combination of the cold and hot and sweet and spicy. wow look at those beef slices…so very tender and juicy! The salad looks right up my alley. Sue. This sounds really delicious Sue! 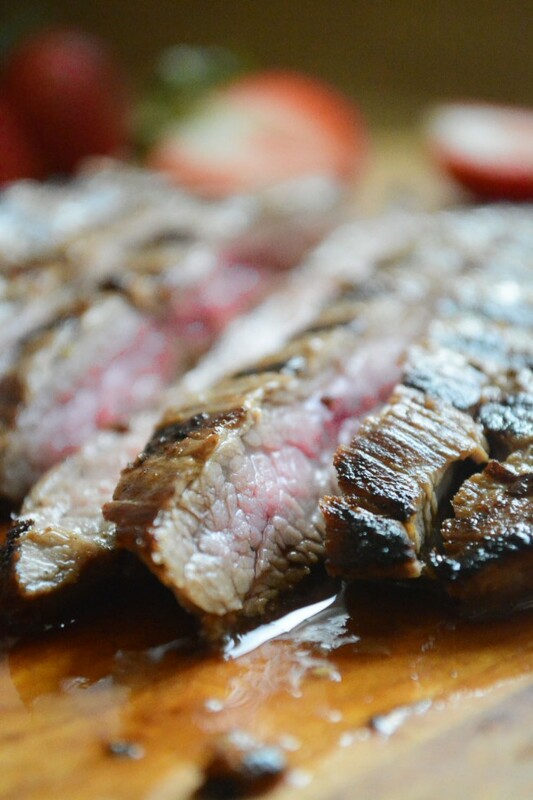 I love the interplay of sweetness from the fruit and jalapeno heat, with the flank steak too. I’ve been loving thinly sliced beef on a salad recently and would really love this! Thanks Toni, we really loved it and even though I didn’t get many photos of it because we all devoured it on sight, it was too good not to share! I love these flavors and your strawberry jalapeño salsa would make a great side! Beautiful salad Sue. Love that watercress and the steak looks perfectly cooked. You know I love the strawberries! Pinned! Going to a rib cook-off today, but will def. make this soon. Got some great strawberries at the farmer’s market. fiiiiiiinally the good red strawberries are around – enjoy! I can practically taste this right now! What a fabulous combination. My husband is a big jalapeño fan and we both love arugula so this is something I definitely want to try. Thanks for sharing. I hope you do try it Susan, I think it might be a good choice for father’s day!